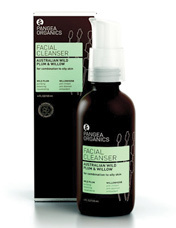 Description: Pangea Organics Australian Wild Plum and Willow facial cleanser features an organic mixture of antioxidants and fatty acids that support a healthy complexion. The wild plum extract is said to balance, purify, and protect the skin as the willowherb works to maintain skin clarity. Manuka honey is also used for its antibacterial benefits to ensure radiant skin.